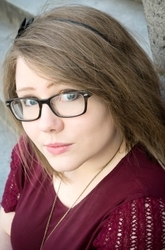 Brittany Lauda is a TX/NY voice actress & ADR director who is best known for playing Ichigo in DARLING in the FRANXX, Leviathan in Seven Mortal Sins, Kei Sakurai in Dies Irae, Lion in Hina Logic, Nene in My First Girlfriend is a Gal, Audrey Belrose in Huniepop/Huniecam, Osana Najimi in Yandere Simulator, Yahiko in The Morose Mononokean, Kaoru Daichi in Ladies versus Butlers, and Mirim in Queen's Blade (to name a few!). You can also catch her voice in Pokemon XY, Hasbro apps & games like My Little Pony and Transformers, Aphmau animations as Cathy and various video games like Battlerite, Heroes Arena and Minotaur. Other anime credits of hers include Juden-Chan: Recharged, Rio: Rainbow Gate, World War Blue, Fairy Tail, Gosick, King's Game, Blood Blockade Battlefront, Citrus, Basilisk: The Ouka Ninja Scrolls, Death march to the Parallel World Rhapsody and more. She co-owns Kocha Sound where she does directing & casting for titles like YIIK: A Postmodern RPG, Marooners, Minotaur and a nime series like Ai No Kusabi, Ladies versus Butlers, Juden-Chan Recharged and World War Blue. She acts as Head ADR Director over at Media Blasters and has been an Assistant Director at Funimation for shows like The Morose Mononokean, Hina Logic, Alice & Zoroku and New Game! Outside of voice over & directing, Brittany enjoys playing with her Shiba Inu named Raven, playing video games, trying not to play more World of Warcraft, squeeing at how cute Gon & Killua are in HUNTERxHUNTER and telling herself she doesn't need more figurines of husbandos like Hisoka and Kurama. Check out BrittanyLauda.com for more credits, or follow her on twitter (@BrittanyLaudaVO) for shenanigans.